Please arrange bookings directly with the landlords. As the number of rooms is limited for both guest houses, we recommend early booking. 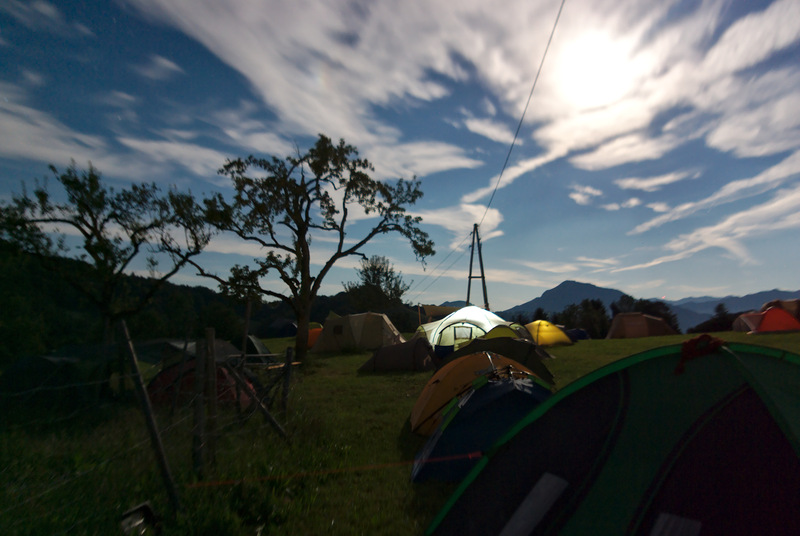 There is an improvised camping ground on a meadow next to Koglerhof. Showers and a room to store instruments are provided in Koglerhof. Please clear the camping ground and the instrument storage room by Monday morning, 10h30. Pitching a tent is allowed in the designated area only. The agreement between the owner of Koglerhof and Alpen-KlangRausch to use the meadow for camping is upright from Thursday afternoon until Monday morning. If you want to camp there before or after this period, please make an agreement directly with the proprietor. There is limited space for camping vehicles. Pleaset check with the team before arrival and, again, when parking your vehicle. The Koglerhof is located at 650 meters above sea level in a saddle, the weather can turn dangerous very quickly - within minutes. Wind gusts of 120km/h and more already occurred. In such weather events, all participants have to stay in the Koglerhof, going to the outside would be life-threatening, for example, because of potentialy breaking branches and flying roof tiles. Tents therefore always may be put up storm-proof even in the most beautiful weather. Open fires of any kind, as well as petroleum and oil lamps are prohibited, also at the campsite. Since the Koglerhof is an restaurant, the preparation, consumption and carrying around of self-cooked or brought food and drinks is only allowed on the camping areas. The washing of dishes or clothes is only allowed at the campsite. We ask that you to keep quiet in the vicinity of the tent meadow and of camping vehicles between 0h and 9h. When leaving the the Koglerhof and its garden take your personal belongings with you. Please do not abuse the premises as a storage.